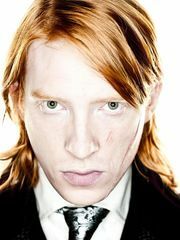 Bill Weasley graduates from Hogwarts just before Fred and George start. 13 March: Actor Harry Melling, who portrays Dudley Dursley, is born to Joanna Melling. 27 June: Actor Matthew Lewis, who portrays Neville Longbottom, is born to Adrian and Lynda Lewis. 23 July: Actor Daniel Radcliffe, who portrays Harry Potter, is born to Marcia and Alan Radcliffe. Actor Kenneth Branagh who portrays Gilderoy Lockhart in the film adaptation of Harry Potter and the Chamber of Secrets, marries Emma Thompson who portrays Sybill Trelawney in the film adaptation of Harry Potter and the Prisoner of Azkaban and the film adaptation of Harry Potter and the Order of the Phoenix. This page was last edited on 10 August 2015, at 12:51. This text is available under the GNU FDL and may have been adapted from the Wikipedia article about 1989 (history).